While school may teach you the basics, entering the beauty industry as a total newbie can be intimidating. Popular blogger Tina Alberino has written the ultimate guide to navigating this exciting industry, The Beauty Industry Survival Guide. While school may teach you the basics, entering the beauty industry as a total newbie can be intimidating. Popular blogger Tina Alberino (“This Ugly Beauty Business” and “Nail Tech Reality Check”) has written the ultimate guide to navigating this exciting industry, The Beauty Industry Survival Guide. 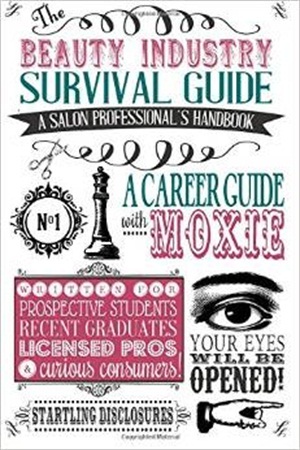 Written for prospective students, recent graduates, licensed pros, and curious consumers, this sassy, straightforward 365-page guide answers questions and paints a true picture of the salon and spa business. It covers everything from the pros and cons of entering the beauty industry, to managing finances, building a clientele, social networking/marketing, finding a work/life balance, and more. The Beauty Industry Survival Guide is available on Amazon for $24.99 and for direct purchase through Alberino’s website, www.thisuglybeautybusiness.com. A digital version is also available, as well as discounts for groups and organizations. For more information, visit www.tinaalberino.com or contact her directly at Tina Alberino at [email protected]. You Might Also Like: Could One of Your Recent Graduates Be NAILS’ Next Top Nail Artist?